You are most likely reading this article for one of two reasons. First, you are close to or are already retired and wish to access extra cash. Second, you are the son or daughter of the person above. Either way, by the time you finish this article, you will know a whole lot more and be in a much better position to make an informed choice. The first thing you should know about reverse mortgages is that they are not new. The concept goes back to the 1960sand was born from a philanthropic idea to help a widow stay in her home after losing her husband. That idea of keeping your home while accessing equity within the property continues with modern iterations of the reverse mortgage and ultimately preserves its ongoing appeal. That may explain why more than 1 million home equity conversion mortgages (HECM) have been sold since 1990. Learn the basics here and put yourself in the know! Even though reverse mortgages go back to the 1960s, the term HECM is far newer. In fact, it was not until 1989 that the Federal Housing Association insured the first HECM. 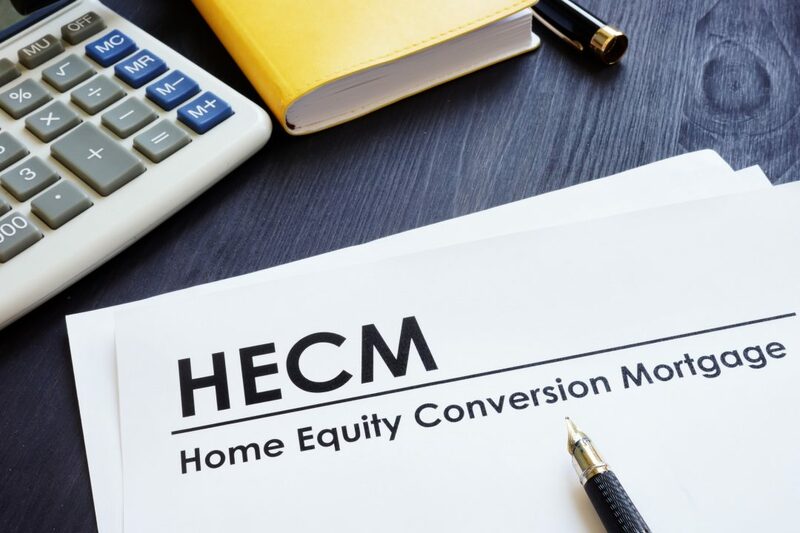 For all intents and purposes, a HECM or home equity conversion mortgage is the same as a reverse mortgage. Both HECM and reverse mortgage are helpful terms when you think about their meaning. Equity conversion is about releasing some of the value in your home in exchange for cash. We will get to the terms and details shortly. Learning this helps us to understand how this type of loan functions in the opposite way to a traditional mortgage. Typically, when you take out a mortgage, there may be relatively little equity in the property. That is to say, the majority of the value of the property belongs to the lender. Over time, as you pay your mortgage off, that value transfers to the mortgage policyholder. Plus, the property itself hopefully acquires additional value as a result of market forces. Therefore, the principle of a traditional mortgage is that during the lifetime of the loan, the equity in the property increases and the policyholder’s debt decreases. The opposite is true in a reverse mortgage. During the lifetime of the loan, the debt actually increases and the equity diminishes. To be clear, the equity in the property then serves as the guarantee against a loan. In theory, the borrower, let’s say a retiree, may never have to pay the loan off during their lifetime. Only when they pass away or sell the property do they have to pay back the loan. The immediate appeal of this is obvious. It means you can access money that your property may have accumulated over many years simply through market forces. This can be significant and go well beyond whatever your initial mortgage value was. At the same time, you can continue to live in your family home that you have spent a lifetime paying for. So to summarize, when all is said and done, the property itself will pay off the HECM. That may sound fine to some but may set the alarm bells off if you are in line to inherit the property or whatever value is leftover. It is important to fully understand the basic principles that underpin HECMs. As time passes, the debt increases. It stands to reason, the earlier you take the loan and the longer the lender waits for a return, the greater the financial cost will be when it comes time to pay back. The property itself is the guarantee. There are no financial obligations that will ever extend beyond the value of the property itself. If the market changes and the value of the property decreases, then there are no immediate implications for the homeowner. In contrast, if the value of the home increases, the increased equity becomes available to the borrower or to anyone who will inherit. That said, it must be clear that the children will never directly inherit the property because it is the basis of the loan, which will be recovered when the property is sold. The heirs are given a specified period of time by the bank to sell the home after which the estate is entitled to any remaining sale proceeds once the HECM has been paid off. You can apply for and get a HECM without too much concern for your credit score. The ultimate decider is not your capacity to earn money but to release equity from your property. So even if you have a low credit score but your property has equity, you will qualify for a HECM. This is a big advantage for many senior retirees. They are past the age of working and due to advanced age, will not qualify for a typical loan. In this case, considering a HECM could be a smart move. Borrowers must demonstrate the ability to pay property taxes, homeowner’s insurance, and home maintenance rather than satisfy traditional income qualifying guidelines. This is obvious to some degree. Not so obvious is what that extra cash will allow you to do. When you apply may affect what you do with the money. You have to be over 62 in order to qualify. So for some, this may mean furthering their education and training for a career in their retirement. For others, it could mean world travel. Exploring all those places you did not get to go to because you couldn’t afford it or you were simply working hard to pay off your mortgage. For others again, it could mean early retirement. Depending on when you qualify for your pension and what those terms are, a HECM could bridge the financial gap between leaving work and when you start to receive your retirement income. There are numerous other possibilities that HECM could open up to you. So take some time to carefully consider your goals for the future. For some, this may not be a big deal. However, that is not the case for everyone. Perhaps you have a family home that is treasured and there is an expectation (even if unspoken) that the next generation will inherit it. If that is the case, then you must be clear from the outset that, in order to settle your loan, your property will need to be sold. The only alternative is that your children settle your loan upon your death and can, therefore, claim their inheritance. If the outstanding principal balance exceeds the home’s market value, the HECM lender will allow the heirs to purchase the home for 95% of its value. Full and open communication as a family is vital. Before you sign on the dotted line, make sure you are aware of the full costs involved. HECM can be a brilliant option and its success is in part a tribute to its contribution to the marketplace. In fact, home equity hit nearly $7 trillion in 2018. Clearly, it is an option many consider worthwhile. However, it can be a more expensive form of credit than more traditional offerings. Involve the key decision makers in your family and pool your thinking caps so that you get the best deal that meets your needs. One of the most beneficial things you can do before you start exploring HECM is to define what your goals are. Where are you going in life and how will the extra money help you get there? Once you are there, what next? Once you have clearly defined these matters, it gets a lot easier to weigh the possible options and their pros and cons. For example, as much as you love your home, would it make more sense to sell and rent? Only you can answer the question, but the important thing is to make sure you have considered all your options. Check out his helpful article here. Other questions that need serious consideration are what to do when something unplanned occurs such as divorce? As unpleasant as that may sound, it is a practical consideration. Check out this article discussing the subject. Don’t rush this decision and try not to feel overwhelmed. Take your time and re-read this article. HECM is a well established and trustworthy product that is meeting the needs of millions. But that does not mean it’s the best option for you. Always seek professional help and an opinion from a trustworthy source and continue to educate yourself on what is available. When you are ready, you can get started by making an inquiry through our reverse mortgage contact form.